Been here my whole life I was born in Mechanic Falls and moved to Auburn around 7, and have lived here my whole life. I commute to college in Portland. Does cam1 belong in this group? Mainiac Get to know me and find out! Does haltatx belong in this group? Does beccalloyd belong in this group? i was born in bangor and have lived in Augusta my whole life. 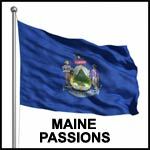 once born here this will always be your home your a true mainer. Does livingdead420 belong in this group? Does mwadell belong in this group?